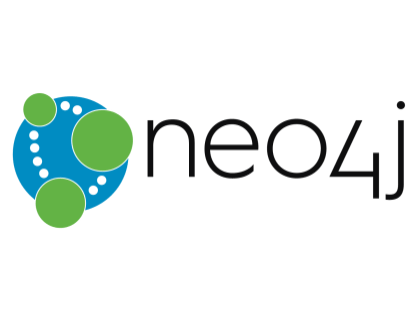 Learn about Neo4j database software for businesses. Includes info on Neo4j, free trials, pricing, customer reviews, and FAQs. Neo4j is a graph database software created for businesses of all sizes. With Neo4j, users have access to a range of features including user security, user management, unlimited graph size, and LDAP integration. According to SMBGuide research, Neo4j offers an Enterprise Edition plan for $36,000.00. In addition, the company also offers a free 'Community Edition', which is available for download on neo4j.com. Pros: Good customer support. Able to store large amounts of data. Easy to learn and manage. Cons: Doesn't scale with multiple cores. Unable to easily separate graphs per account. Bottomline: Great value with a clear interface. The software is fast and easy to navigate. Is there a Neo4j free trial? No, Neo4j does not offer a free trial. However, the company does offer a free 'Community Edition' plan. To download the free software, go to neo4j.com and click 'Download' in the top right corner of the homepage. What are some Neo4j alternatives? Where can I find the Neo4j login? Neo4j does not have a login option. Neo4j Accelerates Growth with Addition of New CFO, Board Member. Neo4j Appoints Denise Persson to Board of Directors. Neo4j Enterprise Edition is now available under a commercial license. Graph database platform Neo4j locks in $80 mln Series E.
Neo4j Expands Graph Platform with Neo4j 3.5, Powers AI and ML Systems. Neo4j Wins Bossie Awards 2018 for best open source software for data storage and analytics. Neo4j Launches Commercial Kubernetes Application on Google Cloud Platform Marketplace. Initially, it was very simple and after few minutes of reading docs you can already make some non-trivial queries. But when you start making more and more complex queries you start to see that you can’t understand how query is working, and after each change you need to use Profile. The largest flaw I see with Neo4j is that it forces you to think of your entities as either vertices or edges and that line tends to be not as clear as you might expect. So I feel like the vertice/edge distinction Neo4j makes, gets in the way of changing data model needs and I ultimately think that modeling your data as a graph is not helpful. Though it can be extremely helpful in querying and that's where its biggest strength lies. The team working on Neo4j.rb are fantastic. Responsive, smart, helpful, dedicated. The Neo4j.rb gem itself is excellent. If you like ActiveRecord, you should find it easy to pickup. It's easy to pickup and very flexible. Neo4j is for graph data, meaning you not only care about the data but you also care about the connections and want them to have meaning. It's really useful for things like crm's where the connections to things have meaning. There are many awesome things that you can do with Neo4j. Not only is it a great way to store your data in an easy and intuitive way, it provides a lot of benefits for efficient querying of highly connected data.